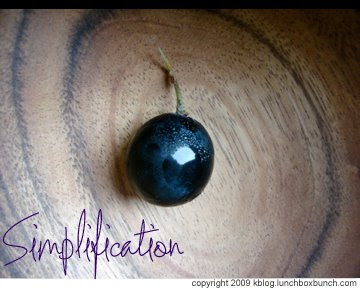 "Simplification" is a fascinating topic. Simple always equals better in the wellness world, right? ...well then how can we all agree that life is very complex? Natalia Rose wrote an article called, "Eating for Simplicity". She speaks of the benefits of a vegan or raw diet. Benefits include improved overall health and improved digestion. She shuns complex vegan foods like nut pate's, even tempeh and complex grains. All of which she says lead to poor digestion. Will kids eat a simple diet?? And is the 'crash simplification' mentality a good, or harmful one? Today I wonder...Is Simplicity is Bliss? Read more, for my answer. I think simplification IS the key to a healthy diet. Simplicity is keeping foods minimally processed, and eating whole foods that were born by nature. Fruits, veggies, nuts, whole grains, healthy proteins. Especially for those who are struggling and have some lifestyle changes to make-simplicity is a savior philosophy to guide you. Vegan Diets are Actually Simple, Once You Get the Hang of it. But don't take a big leap, take the cliche, baby steps. This change towards simplification should be gradual, but in the end, adhering to a vegan diet will be a simpler and healthier way to eat. And by my review, simple equals zen and balance.